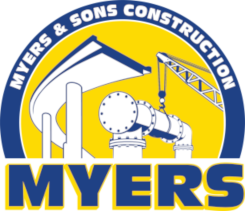 Caltrans requested Myers and Sons, LP to repair the Farmington Road Bridge which spans over Route 99 in Stockton, CA after it was struck and damaged by a truck. 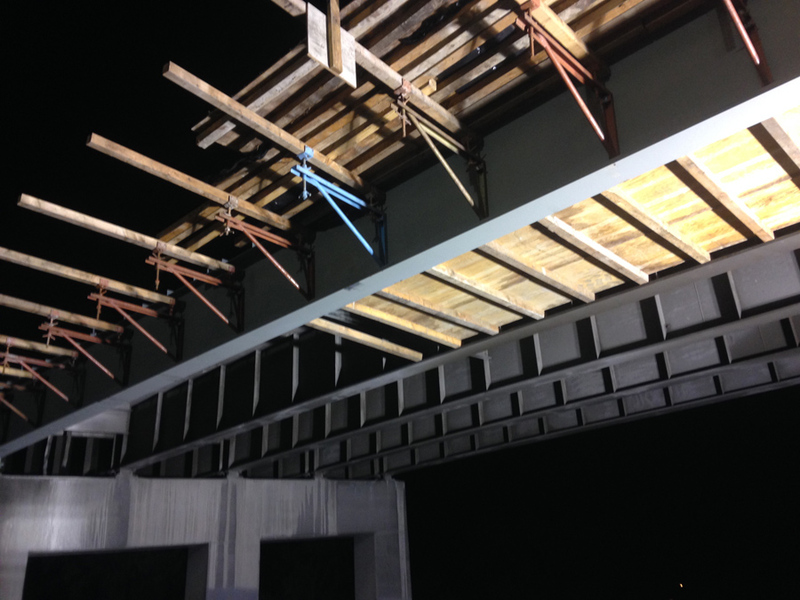 To repair the damage Myers and Sons Construction, LP removed and replaced eight feet of the exterior portion of the bridge over Northbound Route 99. 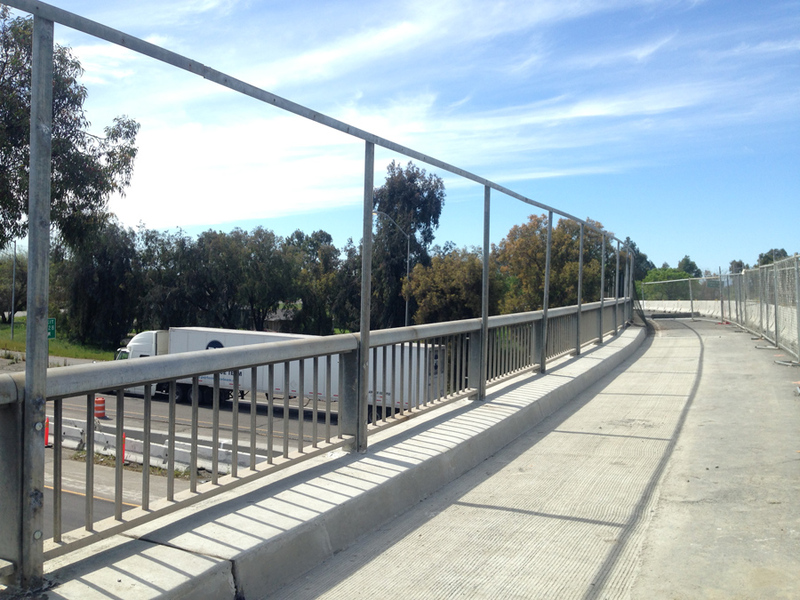 The repair work consisted of saw-cutting and removing the concrete deck, removal of a bridge mounted sign structure, removal of the damaged steel girder which was replaced with a new custom fabricated plate girder that would allow for more vertical clearance, replacement of the concrete deck and re-installation of the bridge railing and fence. 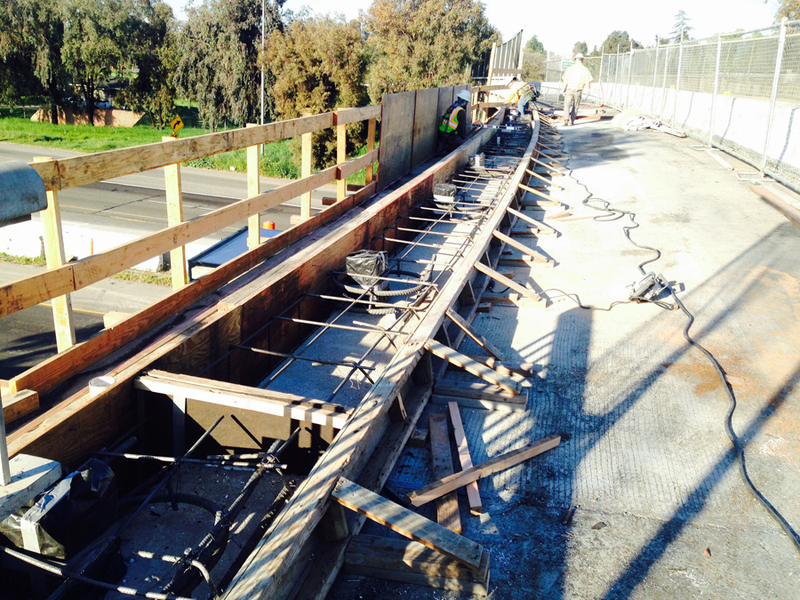 The removal of the bridge deck, along with the removal and replacement of the damaged girder was done under full freeway closure to where the Northbound Route 99 traffic would split the traveled way with the Southbound Route 99 traffic. 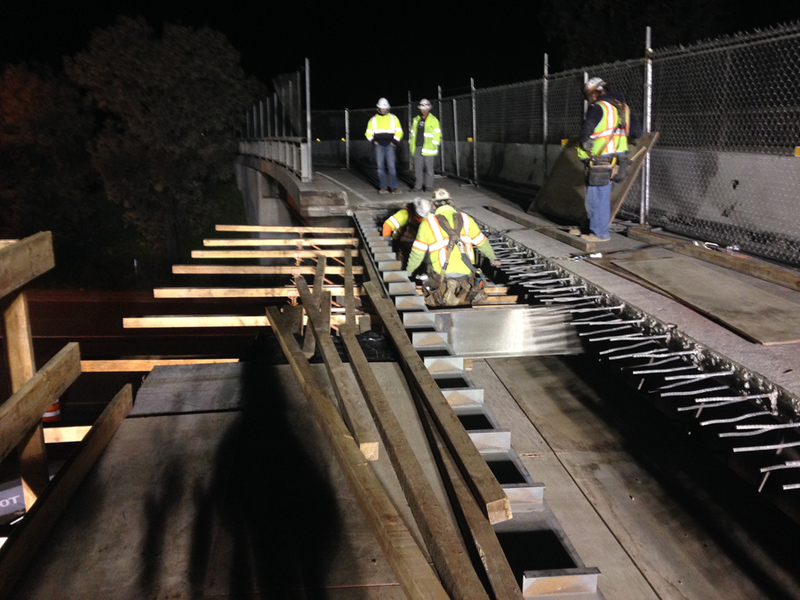 The deck forming system, reinforcing steel placement, pouring of the new bridge deck and re-installation of the bridge railing and fence was completed from the bridge deck surface with no impacts to the traveling public due to Myers and Sons, LP forming system.